The American membership of the MPS has included, besides Milton and Rose Friedman and the late journalist Walter Lippmann [CFR], influential conservatives affiliated with the Heritage Foundation: Michael Novak [CFR/American Enterprise Institute], Thomas Sowell [Hoover Institution] and Deepak Lal [Cato Institute]. Anther member of the Mont Pelerin Society is former CNP member Dr. John A. Howard, president of The Rockford Institute, Senior Fellow of the Howard Center for Family, Religion & Society and a member of The Bohemian Club -- a coven of high-powered elites whose retreats in the mysterious Bohemian Grove near San Francisco are reported to involve Druidic rituals. 13. "The devastating social and economic impact of the global financial crisis triggered in East Asia in mid-1997 has led a growing number of civil society actors, UN bodies and governments to explore strategies to regain control over global finance, which many describe as a cause of increasing systemic instability and social regress. . . Many debates in this area have focused on critiquing the neoliberal rationale for unfettered financial liberalization as part of the conventional policy package ascribed to the so-called 'Washington consensus,' which has been thrown into question in the aftermath of the East Asian crisis". 15. Roger Pearson, a British race scientist, united the ex-Nazis and Nazi sympathizers of Europe in the World Anti-Communist League. In 1975, Pearson organized the North American neo-fascists into an American branch of the WACL called Council on American Affairs. The Council sponsored seminars and published monographs with such influential persons as Ed Feulner of the Heritage Foundation, Ray Cline, former C.I.A. deputy director, and others who would later become high officials of the Reagan Administration. With the support of New Right leadership, Pearson became well integrated within the conservative network. His influence in the U.S. was demonstrable by his oversight of an organization that included Dr. Milton Friedman, whose free market theories were applied in Chile under the fascist dictator, Pinochet. Another case of New Right leaders using their influence to support Latin American dictators was the promotion by Pat Robertson (CNP President, 1985-86) and Jerry Falwell of General Efrain Rios Montt, who became president of Guatemala after a bloody coup in 1982. Rios Montt, a convert of Gospel Outreach Verbo Ministries (which originated in the Jesus Movement, a CIA operation) expected to turn the Verbo Churches into a new political movement which would "moralize national life from the top down." According to the modern prophets of privatization, Bible doctrine is expendable. Forgetting that Christ drove the moneychangers from His temple, one prophet, Willard Garvey, shamelessly named the Lord Jesus among the founders of Republican government and proponents of privatization! "Privatization is documented in the enclosed paper from the Heritage Foundation and dates back at least to Adam Smith, Plato, Aristotle and Jesus. . . Privatization might well be the theme for the 200th anniversary of the Constitution. Privatization is essential for national salvation." Working with the main architects and commanding generals of the New Right was also John T. (Terry) Dolan co-founder with Roger Stone and national chairman of the 300,000-member National Conservative Political Action Committee (NCPAC), the largest conservative political action committee in terms of spending and influence including Jesse Helms' Congressional Club which was a client of NCPAC. Ed McAteer was also a member of the board of Wycliffe Bible Associates, a lay ministry which was created to support the work of Wycliffe Bible Translators, an evangelical organization that raises funds and recruits missionaries to do the work of the Summer Institute of Linguistics. Bill Bright served on the board of the International Linguistics Center in Dallas, which was an associate group of SIL. The Summer Institute of Linguistics was established in 1936 by William Cameron Townsend as a scientific, nonsectarian organization specializing in language studies, literacy work and "other services." 32. An expose of SIL's corruption by Rockefeller money mentions Cam Townsend's role in founding the Religious Roundtable with Ed McAteer. Nelson Bunker Hunt and Bill Bright were board members of the SIL associate, International Linguistics Center in Dallas, in which board meetings "a Rockefeller business partner like Trammel Crow could rub shoulders with an ultrarightist like Nelson Bunker Hunt." Bunker Hunt was/is also a trustee of ILC, a board member and leading financier of the John Birch Society, a major supporter of the Campus Crusade for Christ and third president of the Council for National Policy. It is significant that Nelson Bunker Hunt, the founder and main funder of the Wycliffe Bible Associates and Council for National Policy, is, like many founding CNP members, a Knight of the Order of Malta. According to Russ Bellant, "Although it poses as a Catholic organization, the Order of St. John of Jerusalem is a Masonic group that claims to be the real Knights of Malta. It's Grand Master for fifty years until his death several years ago was Charles Pichel, and adviser . . .to Hitler aide Ernst Hanfstaengl." 50. *Author's note: I am indebted to David Harris for allowing me to use a portion of his 1993 newsletter on the Council for National Policy as an introduction to the following report. 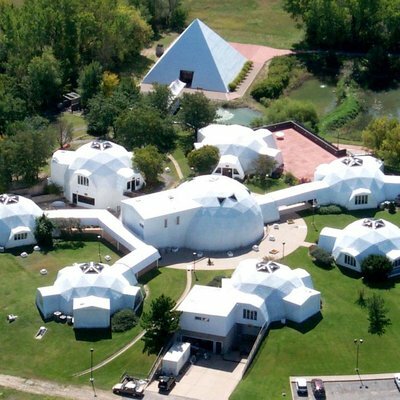 David's report, which was published in the New Age Adversary Bulletin (October 1993), provided valuable information on the Willard Garvey Center for the Improvement for Human Functioning. Willard Garvey, a member of the highly secretive Council for National Policy, also founded another organization which is mentioned in this report -- The National Center for Privatization. I have added to David Harris' work information on the National Center for Privatization and the Council for National Policy. Mr. Harris' 1993 report also contained a list of members from the 1988 and 1993 CNP directories. Updating this list has resulted in an extensive database of past and present CNP officers and prominent members.